In today's global economy, the failure of businesses having interests in multiple jurisdictions is becoming increasingly prevalent. These cases give rise to difficult issues pertaining to the interplay and relationship between courts involved in any one case. In particular, the involvement of multiple courts in a cross-border insolvency matter can lead to inconsistent decisions and uncertain outcomes. The lack of a predictable and coherent international system to administer and manage cross-border insolvency is anathema to the raison d’etre of an effective insolvency and restructuring regime, which is the maximisation of enterprise value for investors and stakeholders in a financially distressed business. During the Opening of the Legal Year 2016, Sundaresh Menon CJ spoke of the need to develop novel methods to address the new paradigm of an interconnected world. In the area of cross-border insolvency, Menon CJ noted that communication and collaboration between courts could facilitate effective and orderly resolutions and stated that Aedit Abdullah JC and Kannan Ramesh JC were working with judges from various jurisdictions to develop guidelines to shape the nature and extent of such communications. This came to fruition in the inaugural conference of the Judicial Insolvency Network (“the JIN”) on 10 and 11 October 2016. In this entry, the background to the JIN and the development of the JIN Guidelines will be discussed. An analysis of the potential impact that the JIN Guidelines may have on cross-border insolvency will also be undertaken with reference made to the recent decision in Pacific Andes Resources Development Ltd  SGHC 219 (“Pacific Andes”). The JIN is a network of insolvency judges from various key commercial jurisdictions around the world. Its objective is to encourage communication and cooperation amongst courts by bringing together the best practices in court-based cross-border insolvency and restructuring. Through the network, judges can come together to share experiences, exchange ideas and identify areas for judicial cooperation. Over 10 and 11 October 2016, a total of 11 insolvency judges from eight territories convened in Singapore for the inaugural JIN conference. The judges were from Australia (Federal Court and New South Wales), the British Virgin Islands, Canada (Ontario), the Cayman Islands, England and Wales, Hong Kong (as an observer), Singapore and the United States of America (Delaware and Southern District of New York). Judges from Bermuda, South Korea and Japan were not present at the conference, but their judiciaries requested to be kept informed on the discussions and outcome of the conference. During the conference, a set of draft guidelines intended to facilitate communication and cooperation between courts (“the JIN Guidelines”) were prepared for consideration in the judges’ respective jurisdictions. The JIN Guidelines address key aspects of communication and cooperation amongst courts, insolvency representatives and other parties involved in cross-border insolvency proceedings. Provisions for joint hearings have also been included in the JIN Guidelines. Whilst the JIN Guidelines have not been made publicly available as yet, it has been reported that they will become publicly available when implemented by any one of the jurisdictions at the conference. As the JIN Guidelines are the first set of guidelines for court-to-court cooperation and communication developed solely by insolvency judges, the implementation of the JIN Guidelines in the various jurisdictions should be carefully watched. In Singapore, whilst it remains to be seen how the JIN Guidelines will be published or implemented, it is likely that the JIN Guidelines will have a significant impact on the administration of cases involving cross-border insolvency and restructuring. Examples of past cases where protocols for court-to-court communication have been used successfully may illustrate the potential impact the JIN Guidelines may have on the practice of cross-border insolvency in Singapore. An example of a case where a protocol was successfully implemented was in the administration of the insolvency of Nortel Networks Corporation, a global telecommunications and data business located in Canada, with subsidiaries in more than 100 countries (see Re Nortel Networks Corporation 2015 ONSC 2987 (“Nortel Networks”)). Given the integrated nature of the operations of the Nortel group, the insolvency administrators of the various Nortel entities worked out a settlement agreement, with the approval of the courts in Canada, the US and the UK, for a global sale of Nortel’s assets. The agreement provided that the sale proceeds would be held in escrow pending determination of the allocation of the proceeds amongst the Nortel entities located in, inter alia, Canada, the US, and Europe. In June 2009, the Nortel group sold its assets for US$7.3b. Despite extensive discussion and mediation, the parties failed to agree on a method of allocating the proceeds. By the parties’ agreement, the question of how the proceeds were to be allocated between the various international Nortel entities was to be decided by the courts in US and Canada. Accordingly, a protocol for communication and cooperation between the Ontario Superior Court of Justice (Commercial List) and the US Bankruptcy Court for the District of Delaware was entered into and approved by both courts. In a ground-breaking move, the protocol provided for a joint trial between the two courts. The protocol also allowed for communication between the US and Canadian judge after the joint hearing “for the purposes of (1) determining whether consistent rulings can be made by both Courts; (2) coordinating the terms upon of the Courts’ respective rulings and (3) addressing any other procedural or administrative matters” (Nortel Networks at ). A joint trial was held pursuant to the protocol, made possible by electronically linking the relevant US and Canadian courts through “state of the art telecommunication services” (Nortel Networks at ). Lawyers and witnesses were thus able to appear in either courtroom and communicate with the judge, lawyers or witnesses present in the other courtroom. At the conclusion of the joint trial, the Canadian and US judges agreed that their decisions would be released at the same time. The judges also communicated pursuant to the protocol to determine if they were able to reach a consistent decision, and found that they were able to do so. The case of Nortel Networks thus showcases the advantages of court-to-court communication and cooperation in the context of cross-border insolvency. The joint trial saved time and costs by minimising the duplication of work. More importantly, the fact that the judges were able to cooperate and communicate to arrive at consistent decisions also ensured that complex issues resulting from conflicting rulings were ameliorated. All these worked to the advantage of the stakeholders in Nortel’s insolvency, as the simplification of the cross-border proceedings and the savings in costs ensured that the pool of available funds for distribution was maximised. Given that the JIN Guidelines makes provision for joint hearings, the prospect of a Singapore court conducting a joint trial with a likeminded jurisdiction may perhaps be a real possibility in the near future. Pacific Andes: A lost opportunity? Contrasted against the use of a protocol in Nortel Networks is the recent exhortation by Ramesh JC in Pacific Andes for parties to formulate and implement a protocol for court-to-court communication and cooperation. To understand the motivation underlying Ramesh JC’s clarion call for a protocol to be put in place, it would be useful to briefly outline the facts of Pacific Andes. The case of Pacific Andes is a piece of the larger insolvency and restructuring puzzle of the Pacific Andes Group, which comprised entities incorporated in the BVI, Bermuda, Peru and the UK. The Pacific Andes Group had two commercially significant businesses, the production of fishmeal and fish (“the Peruvian Business”) and the supply of frozen fish and related products. The Peruvian Business was carried out primarily in Peru through China Fishery Group Ltd (“CFGL”) and was the more profitable of the two businesses. The main applicant in Pacific Andes was Pacific Andes Resources Development Ltd (“PARD”), a Bermudian company. PARD’s most valuable asset was its indirect interest in CFGL. The shares of PARD were listed on the Singapore Exchange and PARD had raised funds in Singapore, having issued about $200m in SGD-denominated bonds which were also traded on the Singapore Exchange. In June 2016, insolvency proceedings were commenced in various jurisdictions. CFGL commenced restructuring proceedings in Peru on 30 June 2016 (“the Peruvian proceedings”) and filed Chapter 11 proceedings in the New York Bankruptcy Court simultaneously (“the US proceedings”). The proceedings in Singapore were commenced on 1 July 2016 with PARD and certain of its subsidiaries (“the PARD Subsidiaries”) seeking a moratorium on proceedings brought against the applicants in Singapore or overseas. This application, made under s 210(10) of the Companies Act (Cap 50, 2006 Rev Ed), was premised on a potential group-wide restructuring plan. In Pacific Andes, Ramesh JC held that the court had no jurisdiction under s 210(10) of the Companies Act, or its inherent jurisdiction, to restrain the creditors of PARD and the PARD Subsidiaries from commencing or continuing proceedings in jurisdictions other than Singapore. Ramesh JC also held that the PARD Subsidiaries did not have sufficient nexus to Singapore to seek relief under s 210(10) of the Companies Act. In the circumstances, only PARD was granted a moratorium on proceedings which applied within Singapore. 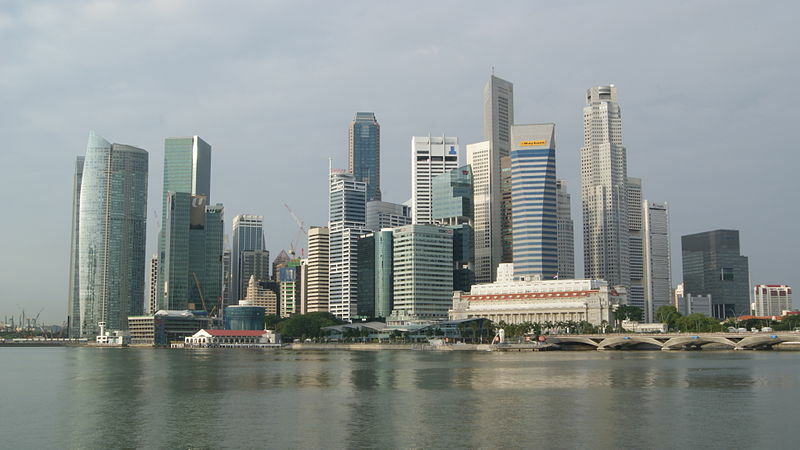 The creditors of PARD and the PARD Subsidiaries were therefore at liberty to commence or continue proceedings against the companies overseas (and in respect of the PARD Subsidiaries, in Singapore as well). As matters turned out, after Ramesh JC handed down his decision, a creditor of PARD sought to appoint provisional liquidators over PARD in Bermuda. Additionally, another creditor applied to the Eastern Caribbean Supreme Court in the BVI to wind up and appoint liquidators to two of PARD’s subsidiaries. This prompted PARD to withdraw its application for a scheme of arrangement in Singapore and to file Chapter 11 proceedings in the US instead, pursuant to which an automatic worldwide stay of proceedings was imposed. Arguably, Pacific Andes represents a missed opportunity for the use of a protocol for court-to-court communication and cooperation to facilitate the restructuring of PARD and/or the Pacific Andes Group in Singapore. Given that the bulk PARD’s assets lay in the Peruvian Business, the extent to which PARD would have been able to restructure in Singapore would have depended on various cross-border elements, such as the outcome of the Peruvian and US Proceedings. The parties could have therefore considered employing a court-to-court communication protocol from the outset to facilitate the restructuring of PARD and the Pacific Andes Group in a harmonized and efficacious manner. Furthermore, had a such protocol been implemented, it might have been possible for channels of communication between the courts in Bermuda, BVI and Singapore to be opened, such that a solution could have been found when the creditors commenced proceedings against PARD and its subsidiaries in these courts in the wake of Ramesh JC’s decision. Had this option been available, this might have enabled the restructuring to proceed in Singapore as originally intended in spite of creditor action overseas. As an illustration, the courts in Bermuda and the BVI could have been informed of the potential restructuring of PARD in Singapore pursuant to the protocol. The communication would have enabled the courts in Bermuda and the BVI to understand the restructuring plan and the approach of the Singapore court and thereby coordinate the proceedings before them accordingly, for example, by imposing conditions precluding the parties from frustrating or impairing the restructuring efforts in Singapore. As Ramesh JC pointed out in Pacific Andes, such cooperation would not be wholly unprecedented, with the Bermudian court in Re Contel Corporation Ltd  SC (Bda) 14 Com having previously recognised a scheme of arrangement sanctioned in Singapore. Ultimately, Pacific Andes clearly demonstrates the judiciary’s enthusiasm for comity and court-based cooperation in the resolution of cross-border insolvency matters where appropriate. However, whilst there seems to be much interest on the judiciary’s part, there appears to be some inertia on the part of parties and their counsel towards the implementation and use of such protocols despite their many benefits. This is not unexpected given that protocols for communication between courts are a relatively novel legal invention. Against this backdrop, the JIN Guidelines are set to play a significant role by providing a specific framework that practitioners may have reference to. They may even become the first port of call for parties, insolvency administrators and counsel in future cases of such a nature. One such case might be the insolvency of Hanjin Shipping, South Korea’s biggest shipping container line, which has filed for receivership in South Korea with satellite proceedings taking place in various other jurisdictions, including in Singapore (see Re Taisoo Suk  SGHC 195). To the extent that the insolvency of Hanjin Shipping may engage the jurisdiction of multiple courts, there is much to commend the use of a protocol to facilitate the resolution of issues in a consistent and coordinated manner for the benefit of all stakeholders involved in the process. The JIN Guidelines are also an apt development when viewed against the backdrop of Singapore’s push to become a regional restructuring hub, and are in line with the projected reforms to Singapore’s insolvency legislation and the initiatives being undertaken in the process of becoming a centre for debt restructuring. The changes to Singapore’s insolvency framework are on the horizon, with the Ministry of Law launching a Public Consultation on the Proposed Amendments to the Companies Act to Strengthen Singapore as an International Centre for Debt Restructuring on 21 October 2016 (see <https://www.mlaw.gov.sg/content/minlaw/en/news/public-consultations/public-consultation-on-proposed-amendments-to-the-companies-act-.html> (accessed 1 November 2016)). It may be noted that if the proposed changes to the Companies Act are implemented, the issue of extraterritorial creditor restraint in Pacific Andes and would no longer be pertinent, as the amendments allow the court to impose moratoriums with in personam worldwide effect to support scheme of arrangements in Singapore. These would also extend to the imposition of moratoriums on proceedings in respect of subsidiaries, provided that the subsidiary “plays a necessary and integral role in the compromise or arrangement, proposed by the holding company” (under the proposed new s 211C(2)(b) of the Companies Act).